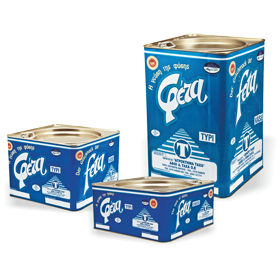 Feta cheese is Greek traditional cheese, the origins of which lie in Ancient Greece. 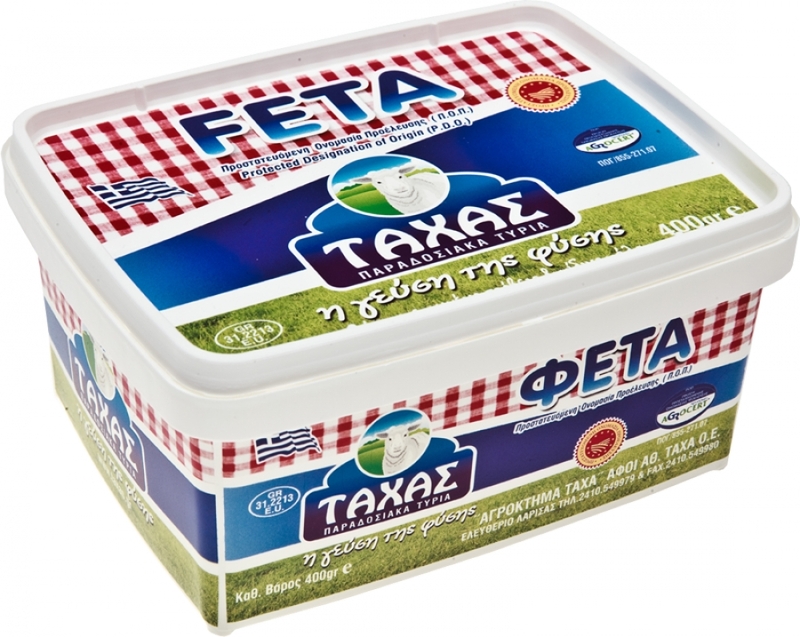 It is made exclusively out of Greek goat and ewe’s milk, up to 30% per kg. 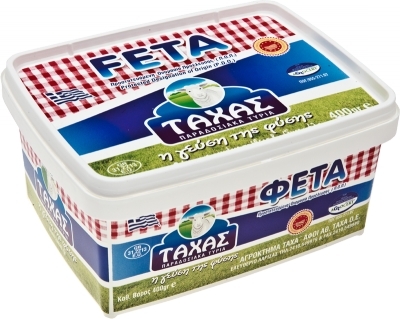 Feta cheese has been introduced in the register of P.D.O. of the E.U. against imitations. 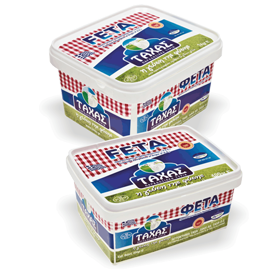 Feta cheese is widely known all over the world as one of the main ingredients of mixed Greek salad. It is also a main ingredient in cheese pies and many other Greek delicacies. It has been primarily associated with the Mediterranean diet, being a sort of its "trademark" all over the world! 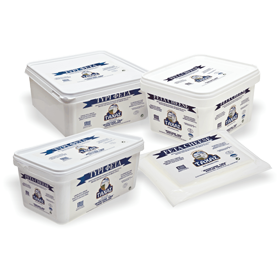 15 kg, 7 kg, 4 kg, 2 kg, 1 kg, 400 gr, 200 gr packages, as well as in cubes or portions.